Shuttle through some more production terms - we've sorted the stems from the subs and put it all into simple English. Italian for 'alone', solo in a musical context simply refers to any sound or instrument auditioned or played entirely on its own. Every channel on any DAW mixer will feature a Solo button - activating it silences all other channels that aren't also soloed (or made 'solo safe' - an option in certain mixers) for the purpose of tweaking the sound of that channel in isolation. Most DAWs use 'common sense' within their soloing systems - soloed auxiliary tracks (eg, effects returns) maintain input from channels routed to them, for example, rather than requiring them to be soloed as well. Commercially retailed (or free) packages of 'sounds' intended to be loaded into DAWs and virtual instruments. Soundware comes in various forms, including libraries of discrete sampled loops and one-shots, multisampled 'ROMs' for playback via engines like NI Kontakt and UVI Workstation, banks of presets for synths and source material for hybrid synths/samplers. When multiple microphones are used at the same time to capture separate elements of a single source - the drums and cymbals of a drum kit, the strings and body of a guitar, the various sections of an orchestra, etc - the inadvertent but inevitable leakage of elements other than the one intended to be captured into any given mic is called spill or bleed. While this is a phenomenon that recording and live sound engineers put a lot of effort into minimising, mic spill can actually be beneficial in certain situations, such as imbuing drum kit recordings with a natural, organic energy that often makes them sound more cohesive and 'glued'. Indeed, multi-mic'd virtual instruments - such as drum kits - often give users the ability to adjust spill levels. A filter capable of outputting multiple filter modes (low-/band-/high-pass, etc) at once - depending on the design, you'll be able to either mix or switch between them. Some software filters emulate the active analogue circuitry of original SVFs and/or the mixable modes feature. One of the biggest players in the music software industry, Steinberg are a German music software and hardware (audio interfaces and MIDI controllers) manufacturer/developer established in 1984 and now owned by Yamaha. 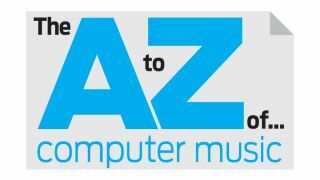 Their first proper release (disregarding the commercially unsuccessful Multitrack Recorder) was the Pro-16 MIDI sequencer for the Commodore 64, followed by Pro-24 for the Atari ST, which developed into the seminal Cubase, eventually making its way onto Mac and PC, currently at version 7 (although various 'reboots' along the way make the real number much higher) and without doubt one of the most popular DAWs in the world. As well as pretty much defining the general shape of the modern software DAW with Cubase, Steinberg also invented the game-changing VST protocol, bringing the incredible real-time effects and instrument plugins that we now take for granted to the software studio for the first time. A rendered mix of a related group of tracks that together serve as one element of a larger mix, created to facilitate remixing, archiving or any other operation for which supplying every component track of a project individually would be excessive or unnecessary. Typical stems might include a mixed drum kit, the individual sections of an orchestra, combined synth pad and lead parts, mixed bass and drums, or a collection of backing vocal tracks. However, more recently, the term has also come to refer to individual tracks rendered from a project including processing. Before the graphical MIDI sequencer, synth and drum machine patterns were programmed directly into the instruments themselves via step sequencers. These typically offered 16 button-operated 'steps' cycling around constantly, each of which triggered its assigned sound when activated. The steps could be set to a range of note values (1/4, 1/8, 1/16, etc), the tempo and shuffle/swing (see S, Part 1) of the sequencer could be raised and lowered, each step was adjustable in terms of pitch, volume and other parameters, and sequences were strung together to make 'songs'. Step sequencers still get built into many new virtual instruments (and effects, for modulating parameters), offering, as they do, a fun, focussed, self-contained and 'rigidly electronic' alternative to the more flexible piano roll. A stereo audio signal is one comprising discrete 'left' and 'right' channels, each of which is sent to a corresponding loudspeaker, creating a wide panorama. Although finished tracks end up as a stereo mix, many (if not most) of its components will be mono channels, panned to specific positions between the left and right channels of the master output, routed to stereo reverbs and other effects, and ultimately coming together to create a stereo soundstage. that could be used to make a sampler patch was limited by the amount of RAM available to the sampler. Today, though, even external drives are more than up to the task, and streaming of (potentially enormous) samples is a standard feature in soft samplers such as NI's Kontakt (via its Direct From Disk mode) and Steinberg's HALion. A function of certain DAWs and audio editors - such as Apple Logic, Avid Pro Tools and Steinberg Cubase - whereby an audio file or region is analysed for sections of silence (or amplitude below a user-specified threshold), which are then automatically deleted, leaving the resultant non-silent sections in place for moving and manipulating as discrete regions or files. Any bass sound below around 80Hz, either played on its own or used to bolster a higher bassline. Sub bass tones are usually generated using simple sine, square or triangle synth waveforms with little processing, and while they're not heard without an accompanying 'regular' bass sound that often these days, they were a defining feature of early drum 'n' bass and hip-hop. A form of synthesis in which a raw waveform (eg, square wave, saw wave, a sample, etc) is routed through one or more filters, the mode, cutoff frequency and resonance of which are adjusted in order to attenuate ('subtract') harmonics in the signal - cutting the high frequencies with a low-pass filter, for example. By far the most ubiquitous form of analogue synthesis is subtractive, while other kinds of synthesis can be said to contain a subtractive element if they include a filter section. The act of mixing multiple signals down to a single mono or stereo output. Using group/bus channels in a mixer is summing, as is routing those groups to the master output. In digital systems, summing is a transparent process that doesn't have any effect on the sound of the summed channels; analogue summing busses, however, can impart a small amount of desirable saturation, harmonic distortion, crosstalk and other subtle electrical influences, giving the summed signal warmth and character (assuming the components involved are of high quality, of course!). Some producers bounce mixes through hardware summing boxes to get this sound, or more commonly, use console emulation plugins like Slate Digital's VCC. In music technology, sustain has two definitions. The first is the volume level at which a synthesiser tone is held between the end of the decay stage and the start of the release phase - ie, until the triggering key/note is released. The second is as in 'sustain pedal', which connects to a MIDI keyboard to emulate its equivalent on a piano, allowing notes to ring out when depressed. Synchronisation. Multiple events - single or repeated - occurring at the same time and/or rate; or the regulation of the timing of one thing by another. In music production, the word can refer to a few things, but the main one is slaving time-based parameters of plugin instruments and effects to the DAW hosting them. The speed of an LFO on a synthesiser plugin, for example, may be switchable between absolute time (setting it to 8Hz, say) and host sync, whereby a note value (1/8, 1/16, etc) is specified, slaving the LFO speed to the tempo of the host DAW. An electronic instrument (hardware or software) designed to replicate real-world sounds and - more importantly - create entirely new ones. There are several types of synthesiser, but they can all be broadly categorised as (virtual) analogue, digital or hybrid. Simply put, analogue synths use oscillator circuits to generate raw tones that are sculpted into musical sounds using filters, modulation and effects; digital synths do their thing using one or more of a range of techniques, including frequency modulation (FM - also a feature of many analogues) waveshaping, additive synthesis, physical modelling and granular. Hybrid synths combine analogue and digital elements (eg, an additive synth with analogue filters, or a synth mixing sampled and analogue oscillators). Synthesisers are fundamental to electronic music of all kinds, and important in pop, rock and even modern classical and jazz styles.